Dr. Fink graduated from Horace Mann School and did his undergraduate studies at University of Rochester where he received a BA in general sciences. He received his medical degree from Far Eastern University. He completed his residency in internal medicine at Interfaith Medical Center (formerly known as Jewish Hospital and Medical Center of Brooklyn) and served as Chief Resident. He did a fellowship in gastroenterology at the same institution. Dr. Fink completed his fellowship in gastroenterology at Yale New Haven Hospital. Since 1983 Dr. Fink has been an assistant clinical professor at the Yale New Haven School of Medicine. 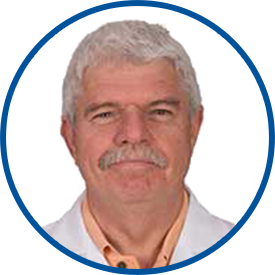 Dr. Fink is board certified in internal medicine and is a Fellow of the American College of Physicians. His current affiliation is with White Plains Hospital Center and Greenwich Hospital. I came to the office because I was dizzy. after my appointment, Dr Fink walked me all the way to my friend, making sure I was steady in my feet the whole way. super nice person.